Funny as it might sound, authors are rarely good writers of their own bios for their books and websites. Either overly academic in nature (read boring) or just data without any personality, author bios rarely hit a bulls eye that connects with a reader. You may be able to write the best book I’ll ever read, but fall short on creating sound bites that will grab a potential book buyer and turn them into a reader. Have I been describing you? Your latest publication might be a winning piece, but if your author biography is dull you just might be turning away potential readers and buyers. It’s just as important to highlight what you have previously written or are recognized for in order to establish credibility and create an interest in your work. Depending on your background this information could be just one paragraph written in third-person format or in the case of expanded influence several might be in order. For authors who are just getting started in their careers, 200 words is a perfect starting point. Keep in mind that this information will also need to be consistent on your social media accounts, press releases, and any guest blog posts, and may need to be truncated further for their individual requirements. Keep in mind that the information included here must be relevant to your published work. For example, readers of sci-fi books can come from all over the world, and may be less interested in your location or where you are from. Get to the facts that really matter and peak their interest such as any prior sci-fi novels you have written or knowledge you may have on the topic. 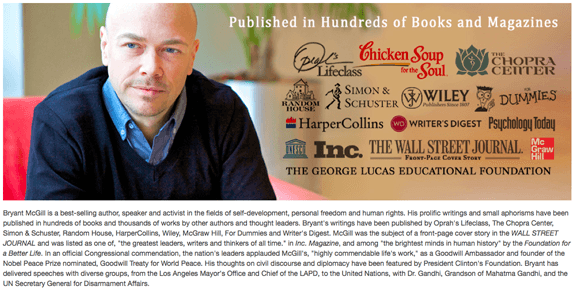 If your website already includes a list of any other published books you can most likely keep this information out of your author bio. This is especially true for new or up and coming authors who are still getting established. While writing a bio about yourself may seem like it should read, “I did blah blah blah” by switching to third person, you’ll find it much easier to talk confidently and write effectively as if you were doing this for someone else. Readers can really get lost and leave a bio section quickly if there is too much accolade to the author. Keep the most important facts front and center that would build authority and recognition and leave the smaller items out such as how many years you’ve been teaching a class. Remember, this is not a resume, but rather a place to quickly show your expertise as a writer. Your readers want to see the human side of your authorship, and so this is the area where you will want to include something unique or humorous to draw them in. This could include a favorite quote, some humor, or whatever appeals to their emotions (yes, even your pets). The goal is to make a connection with your audience, but not include too much information that will detract from your bio. We authors tend to focus on our topics or characters or rather than showcasing ourselves – it’s natural to feel that way. Give yourself permission to put a brief spotlight on your most important achievements and ask your most trusted circle of friends or colleagues what they think. 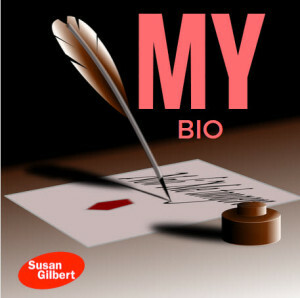 A few rewrites will help refine your bio, and in the end this will not only gain the affections of your new fan base, but become a promotional vehicle for your author marketing strategy.